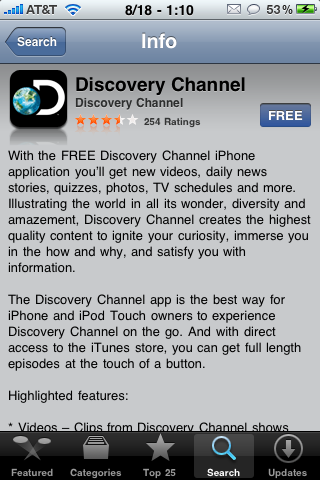 Discovery Communications launches a Discovery Channel application in the App Store. It is a feature packed application that allows you to watch videos from some of Discovery’s top shows; Man vs. Wild, MythBusters, Dirty Jobs, Storm Chasers… etc. In addition to watching video clips from the shows, you can also view the TV schedule, find out more info about the show and meet the cast. It seems the the i.TV is going to be getting quite the update. Version 2.0 of the application is boasting all sorts of few new features including; Remote Control, TiVo Remote, New UI, Push Notifications and iTunes integration. 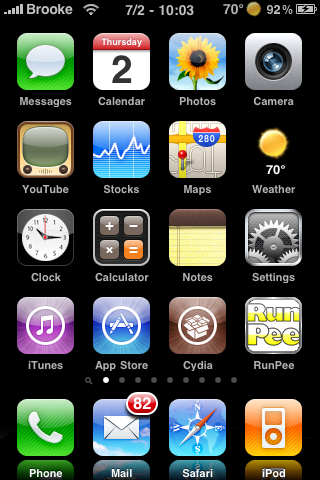 I was sitting in our office last night and Doug starts telling me about this application called RunPee. I was like; “Oh great, what is that going to be about.” When he finished reading the description I seriously laughed out load…what a great app!